The campus combines the best of both worlds. The large size campus offers a variety of opportunities to learn, meet new people, and have fun, and its small-town location in the area, gives it a warm & eco- friendly atmosphere. One of the first things, you’ll notice when you arrive, is that the structure is organized into communities, designed with options, amenities, and recreational and learning opportunities that promote interaction and make the campus feel like a small community. It is our constant endeavour to make life at SIET an example for others to follow so that it may create a strong sense of identity among SIETians. 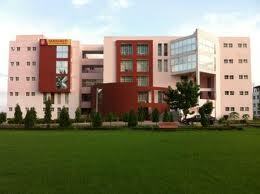 Life at SIET is relatively safe and quiet, and this is the institute where quality education is imparted. Campus: The campus combines the best of both worlds. The large size campus offers a variety of opportunities to learn, meet new people, and have fun, and its small-town location in the area, gives it a warm & eco- friendly atmosphere. One of the first things, you’ll notice when you arrive, is that the structure is organized into communities, designed with options, amenities, and recreational and learning opportunities that promote interaction and make the campus feel like a small community. It is our constant endeavour to make life at SIET an example for others to follow so that it may create a strong sense of identity among SIETians. Life at SIET is relatively safe and quiet, and this is the institute where quality education is imparted. Central library: As books are the best friends, philosopher and guide, so the Institute has an excellent library adjacent to academic block. Apart from books, students have access to the latest magazines, international journals, newspapers and research papers. The library also stocks a huge collection of educational cd-roms and old copies of important periodicals. e-journals facility is also provided to improve the R&D standard for faculty. Hostel: The Institute provides hostel in campus for boys having spacious and fully furnished air cooled rooms for comfortable stay and study. Adequate security, telephone connection, internet connection, gym, washing machine and ambulance service are also available for secured homely stay away from home. Excellent mess facilities have been provided on no-profit no-loss basis to the students. Separate girls’ hostel facility is provided in the heart of city i.e. Ghaziabad.